Irene Maines passed away June 27, 2018 surrounded by her loving family under the care of Niagara Hospice. Born September 5, 1928 in Buffalo she was the daughter of Richard J. and Celeste (Daniels) Mergaert. 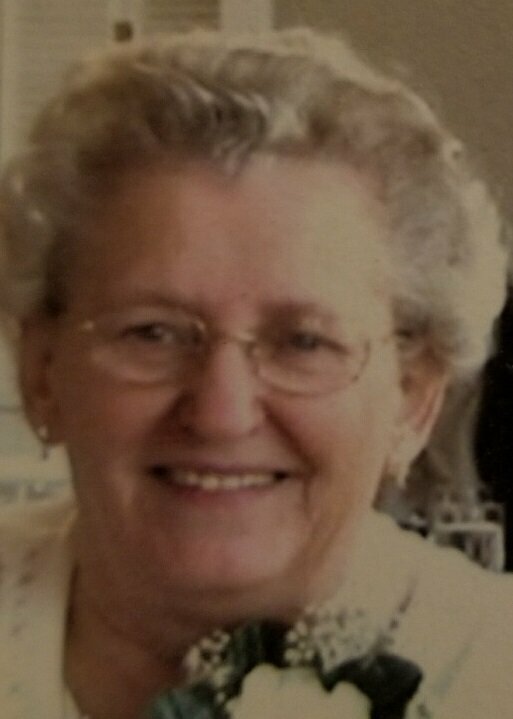 She was a member of the Dale Association, enjoyed quilting, cooking, gardening, and spending time with her family. Irene was predeceased by her husband Walter L. Maines, Sr. on March 9, 2007. Irene is survived by her children Terry (Sharon) Maines, Richard Maines, Earl (Sandra) Maines, Juanita (Ken) Bess, Ann (Ray) Vance, Ginny (Charles) DeFilippo, Mary (Jeffrey) Herbst, Sally (Ron) Rosseau and late Walter (Donna) Maines; 31 grandchildren and several great grandchildren. Relatives and friends may call Monday, July 2nd from 2-4 and 6-8 PM in Prudden & Kandt Funeral Home, 242 Genesee St., Lockport where funeral services will be held Tuesday, July 3rd at 11 AM. Interment will be in Glenwood Cemetery. In lieu of flowers, donations to Niagara Hospice would be appreciated. Visit pruddenandkandt.com.